How to Form a Company in Uruguay? Forming a company in Uruguay is generally a simple process and can be completed within 6 to 8 weeks. Keep reading to learn how to incorporate a legal entity in Uruguay. Uruguay has a strong service-sector based economy. The majority of companies in Uruguay are Corporations (S.A). *Remember that the type of legal entity that you chose to incorporate will depend on your company´s business needs and requirements. Unknown to many, a POA (legal document) can be drafted and signed, allowing a local partner in Uruguay to form the company on your behalf, without the need for you to physically be in the country during the incorporation process. Click on the following link for more information regarding Power of Attorneys in Latin America. *Local legal entities in Uruguay can have (1) shareholder. To register and formalize the company, it should be registered in the One-Stop Shop (Empresa en el día) of the National Government. All the registration fees for ‘SA’ companies are paid through this local authority. The public notary will provide you with an official certificate that should be shown in the National Registry of Commerce in order to complete the company registration process. Tax Administration Directorate (Dirección General Impositiva) is the entity where the company will pay taxes. The National Registry will stamp the shares book, the letter copybook, the register of minutes of the board meetings and the register of minutes of shareholder´s meetings. Once this is completed, the company will be able to obtain its local Tax ID (‘RUT‘). The final step in forming a company in Uruguay is opening a corporate bank account. Once you have obtained your Ta company Tax ID, you will be able to open your corporate account. 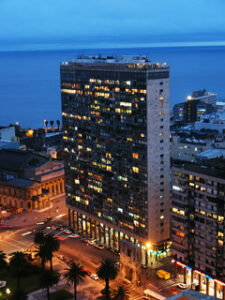 Uruguay holds great potential for business investors and entrepreneurs. However, doing business in a new environment can prove to be somewhat complicated. Working with a local partner who can support you throughout the entire incorporation process is highly recommended. At Biz Latin Hub we offer a range of diverse range of tailored business services to assist you and your business in Uruguay and Latin America. For personalised information, reach out to Craig at [email protected].